The following article first appeared on times-georgian.com, and it’s extremely relevant to all of you Douglas County residents. The articles states that 3,359 residents filed for bankruptcy in a single month. If you’ve been dealing with financial hardship yourself, apparently you’re in similar company, but you certainly don’t want to be a part of this trend. Make sure you take the appropriate steps to avoid debt, before your only option is filing for bankruptcy! “”Douglas County is fourth in the nation in the rate of personal bankruptcies per household, according to statistics compiled by the National Bankruptcy Research Center. It is one of four Georgia counties that made the top 10 list. Newton County was second, Henry County was third and Rockdale, sixth. Ronald J. Mann, a professor at the Columbia University Law School, reported that 3,359 county residents filed either a Chapter 7 or Chapter 13 bankruptcy in August. In a Chapter 7 filing, a person relinquishes his assets in exchange for cancellation of debt. However, a Chapter 13 filing, allows the person to keep certain assets — a home, for example — and undergo a financial reorganization which is supervised by a federal bankruptcy court. That the county ranked so high nationally was not news to a few attorneys who handle bankruptcy cases here. “They’re filing Chapter 7 with the intent to walk away,” Davis said. She cited home foreclosures as a reason and said decreased home values make it easier for homeowners to not fight to keep their homes. Carol Colliersmith, co-owner of Colliersmith & Associates, is past president of the Metro Atlanta Consumer Bankruptcy Attorneys Group. 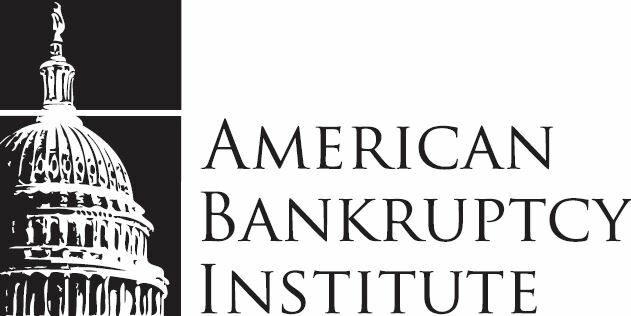 She said the state has traditionally been a leader in Chapter 13 filings, but her firm is filing more Chapter 7 bankruptcies than ever. “Most of our cases are Chapter 7. People are under water with no jobs and are not trying to save that house from foreclosure,” she said. Ira Gingold, a partner in the law firm of Gingold & Gingold, said he and his daughter have five offices in metro Atlanta. Douglasville has been the hardest hit, he said. contributing factors, as are others. “With everybody and their brother building houses, I think Douglasville has been especially hit hard,” he said. Gingold, who has practiced law for 39 years, said the increase in Chapter 7 and Chapter 13 filings can also be attributed to the economy. He said the country is in a depression instead of a recession. Gingold said the effects of the economic downturn in Douglas County seem to be long term and have affected an unexpected group of citizens: people over 50. It is the opposite of findings he noted years ago when he was called to be an expert on a Clark Howard Show that dealt with bankruptcy. “Back then it was young people who had accumulated credit card debt in college. Now it has a lot to do with older people who are on a fixed income, are unemployed or under-employed,” Gingold said. He said the county’s 9.5 percent unemployment rate hurts older people, in particular, because they are considered to be too qualified for many jobs. Those who are unemployed or under-employed can’t afford the same standard of living they once enjoyed either, he said. With mortgages behind, collection agencies calling and no job, filing bankruptcy is oftentimes the next step, even as people don’t want to file. If you’re thinking about filing for bankruptcy, don’t hesitate to contact the Adkins Firm, the superior bankruptcy attorneys in Atlanta!